This is a post for students in the PhD program (THS) at Trinity Evangelical Divinity School. 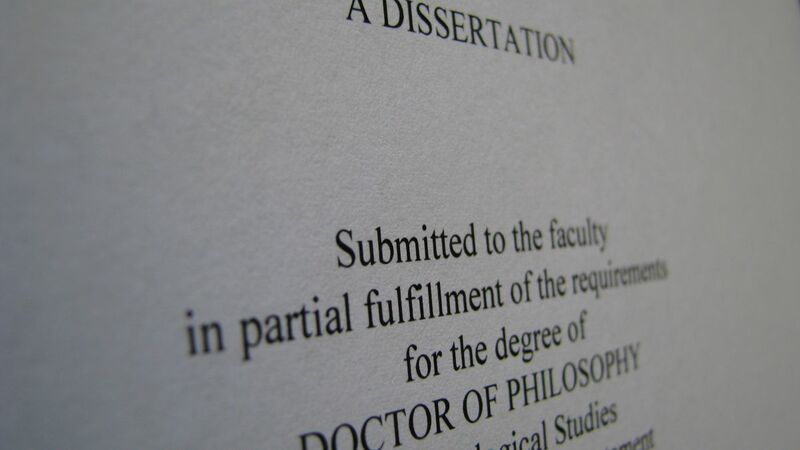 There is a new version of the template for writing dissertations and research papers in MS Word and it is now available here. The teamplate is being made available for Word 2007 and later only (but it can be easily converted). I don’t know of any good way to upgrade a current document to the new template. But that’s OK. It’s not that hard to implement each of the fixes yourself. If you need more detailed instructions let me know and I will add posts with explanations. In fact, click on the “msword” tag in the tag cloud at right to see if I have already addressed your issue. Also, if you have any questions at all on using the template leave them in the comments and I will try to give detailed instructions. I recommend installing the template into your template folder in MS Word. Follow these instructions to do that. Top margin of context page was > 1”, changed header from edge to 0.8” to compensate for blank paragraph mark in header. List of Illustrations, List of Tables, Acknowledgments, Abbreviations did not have full 2” spacing at top of page. Changed “Heading” style so that spacing before paragraph is 69 point (was 60 point). On the acknowledgment page change page break to section break (Next Page). There was no header on the abbreviation page which provides necessary spacing to get 2” margin. Spacing below footer on chapter page 1 was not fully 1”. Set footer spacing from edge to 1” (from 0.8”). Spacing from edge to Chapter # was not full 2”, change “Chapter #” style so spacing before paragraph is 69 point (was 60 point). Thank you for your efforts for the community! I wonder where can I find the file to download? The links on my site are not underlined, they’re in green text. You are the MAN, Todd!